When Danny Mininni arrived in Puerto Vallarta in 2005, he was taking a break from his career as a theater, film and television actor in the United States. If someone had told him that he would someday co-found the most successful performing arts forums in the city, he probably would not have believed it. It all started in 2009, when Karrie Sebryk, founder of the Boutique Theater, brought Mininni back into the world of theater with the staging of Robin’s Hoods. Subsequently, Mininni would produce and direct The Foreigner and The Best Little Whorehouse in Texas, both of which enjoyed unprecedented success. Those shows were the impetus for him and his partner, Elizabeth Wiggins, to begin to think about founding their own company. In 2012, ACT II Entertainment was born with the iconic musical The Rocky Horror Show as its first production. The success of The Rocky Horror Show inspired them to make a large investment and open their own space, where invited artists could also be presented. A year later, the site was inaugurated at the intersection of Basilio Badillo and Insurgentes streets (the point where El Centro and the Romantic Zone come together), offering three wonderful spaces designed to host different stage productions: The Main Stage, The Red Room Cabaret and The Encore Lounge. Óscar Cisneros and Danny Mininni. But who makes it possible for this creative machine to function, producing four to six shows each year? The answer encompasses a whole group of people with different stage backgrounds. 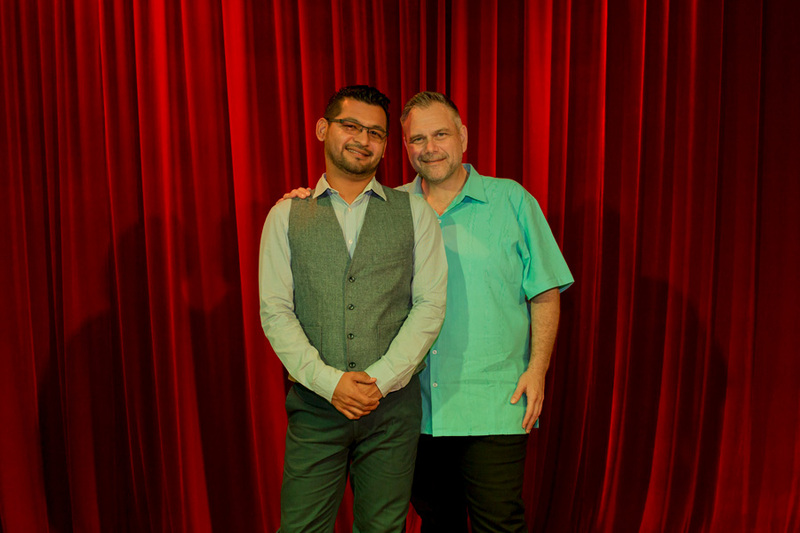 In addition to Artistic director, Mininni, the in-house shows are produced by co-Artistic Director and musical director, Alfonso López, and resident director, Allen McMullen. López, A young Mexican with a Masters of Music in Musical Performance from the University of Texas-Pan American, has had an outstanding career as a professor and musical/artistic director at various educational institutions and venues in Texas. McMullen, a professional director originally from Las Vegas, has been involved in this industry for over 50 years, having worked in Broadway and Off-Broadway shows and international tours. Some of his previous successes include Hairspray, Peepshow, We Will Rock You (United States), Xanadu (Tokyo and United States) and Sophisticated Ladies (Soviet Union). 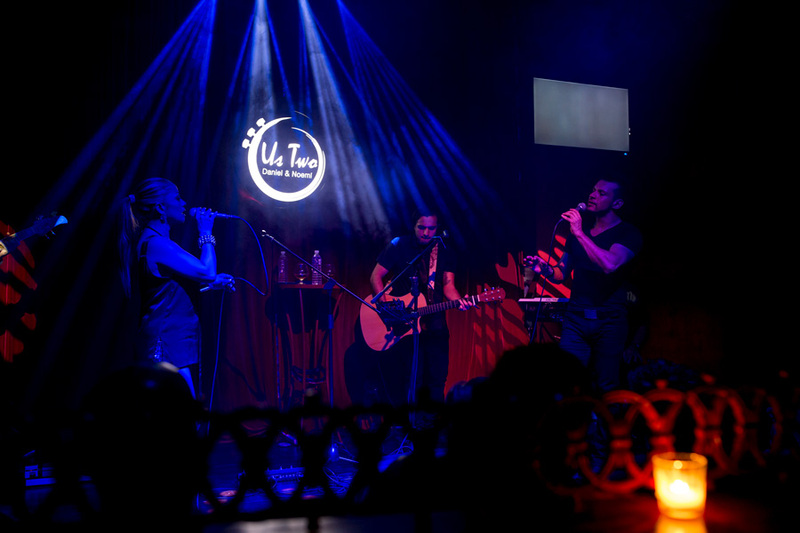 Lopez and McMullen came to Puerto Vallarta to enjoy its paradisiacal attributes, but their coincidental encounter with ACT II Entertainment changed their destiny. Now they are part of this family, contributing their creativity to the stage. 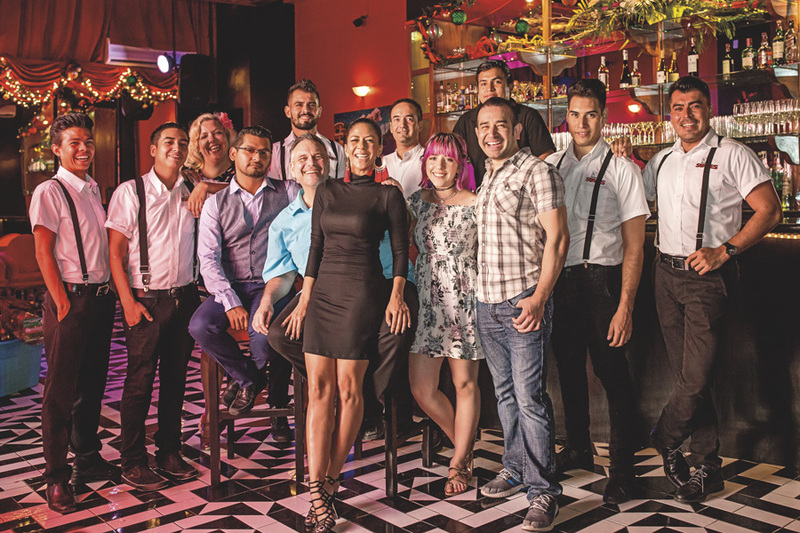 “It’s exciting to offer high-quality shows that people do not expect to find in Vallarta. The talent that exists in this city is amazing, both in expats and locals,” says McMullen. “ACT II is a special place, where the artistic team and the public have formed a great community,” adds López. Behind the scenes, other key players in the creative process and operation of the venue include the following managers: Jesse Rose Roberts (marketing), Alex Camacho (bar), Leila Hamdani (box office) and Óscar Yañez (administration). Other creative members include Nathan Frye, Marsha Ward Ross, Kami Desilets and Maria Rose, as well as numerous staff and technicians. Danny Mininni, Óscar Cisneros and Alfonso López (plaid shirt) along with the ACT II Entertainment team. The surprises they’ve prepared for this year include the musical Xanadu, The Rocky Horror Show, California Dreamin’ and Some Enchanted Evening (Starring world renowned Vanessa Amaro, Soprano, winner of the Carlo Morelli Opera Singing Contest). In addition, artists such as Donny Most (Happy Days star), Steve Grand, Tony Award winner Levi Kreis and Lorena Peril and many more. In the Spring, Mininni will be taking the stage once again in the Tony award-winning play made famous by Nathan Lane, The Nance. With over 25 distinct shows a week, Act II promises something for everyone. As if that were not enough, the venue was recently remodeled, including a new terrace, where one can enjoy live music. “Every night there’s something new at ACT II; Shows of different styles and genres that share the same quality. There is always room for more entertainment,” concludes Mininni.